Life moves by pretty fast, even more so when we are trying to balance so much. I know you can relate. You are supposed to be paying attention during a meeting, or your kid telling you a story, but the dialogue in your head won’t stop. You are not being present. Everything in life is something to learn and grow from or its a memory that you want to carry with you….not possible when you are stuck in your head and not taking in everything going on around you. Christmas is a perfect example of this. So much preparation and anticipation for the big day. But that’s just it. It’s a day. A few moments…and it’s gone until next year. Are you going to miss it? Or are you going to choose to be present and soak up every second and make a strong memory to look back on? Truth is, this is the only Christmas that my kids will be 7 and 11. It’s the only Christmas your kids will be the age they are. 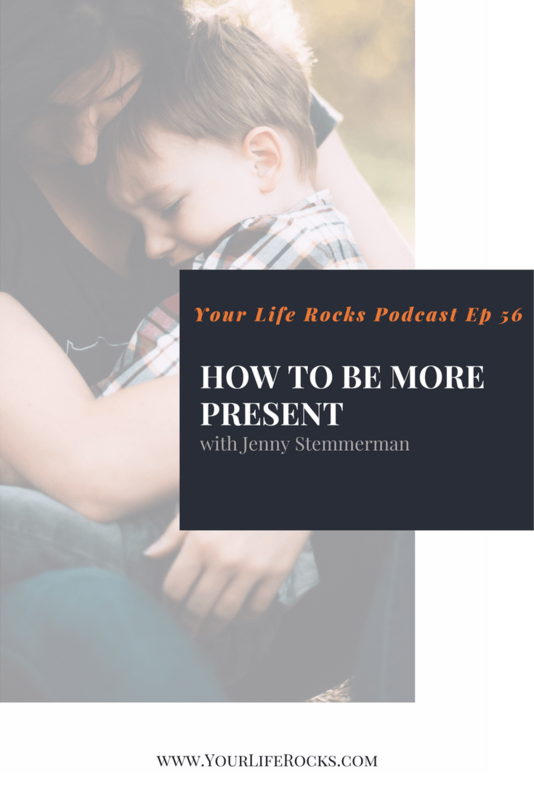 To help you hold on to the moment and be fully present, I have compiled these five tips for you. This list will not only help you on Christmas but to also be fully present at work meetings, date night with you husband, or having a long conversation with you child about their new favorite video game. The first three go hand in hand, but I wanted to separate them to keep it easy to remember. You have to find a way to bring yourself from your head back to your body. Getting your blood pumping is a great way to do that. Jumping jacks or push-ups are a great way to accomplish this…but not always possible. I mean if you are doing this to be more present during a meeting…it could get awkward pretty fast. Instead, try things like making a fist and releasing your hand. I do an exercise that is touching all my fingers to my thumb one by one. It doesn’t get your blood pumping in the same way, but it does get you connected to your body and out of your head. Another great exercise is to do deep breathing, and it leads us to our next tip. As you are taking deep breaths, pay attention to the details of your stomach expanding, the air filling and leaving your lungs. Giving your mind something to focus on in detail will interrupt your other thoughts and bring you to the real world and what is going on around you. Look for other details around you. This leads us into using your senses. One of the purposes of being present is to help you remember precious memories. Think about how many memories you have tied to your senses? Taste, smell, sound, touch, sight. They play an important role. As you are focused on your surroundings, think about the details of the sounds in the room, the smells around you. It will not only bring you into the here and now but also help you remember the moment. Distractions happen and they can get the best of us. The more you can control your surroundings, the better set you will be for success in being present. The first thing to do is to think of the distractions that will keep you from being fully there. Distractions are easy to be found, and most of us have them in our hands…our cell phone. Sometimes you should just put it away. Christmas, you may need it out. My phone is also my camera, is it yours? Put your phone in airplane mode before the festivities begin. That way no notifications can get through. If you are needing to control the environment for a meeting at work, pick a seat that avoids distractions in your line of site. Preparation and forethought will save you. I am all about being prepared. It’s what I teach in my membership, my courses, and it’s what I coach my clients to do. This is no different. This Christmas, plan to be up first. Take a few minutes to pray, prepare, and be present. This is a great opportunity to do those jumping jacks or push-ups. Eliminate distractions, and set the intention that you will soak up every detail of the day, and you will.